Mandana Attarzadeh is an Author, speaker, women’s empowerment coach, non-profit leader, and social justice advocate. Born and raised in Iran, Mandana immigrated to Canada in July 2006. Driven by her passion for social justice and her desire to address root causes of ill health, Mandana who was initially trained as a medical doctor, deliberately gave up on her medical career in Iran and embarked in a journey that brought her to Community Development and Social Justice Field. 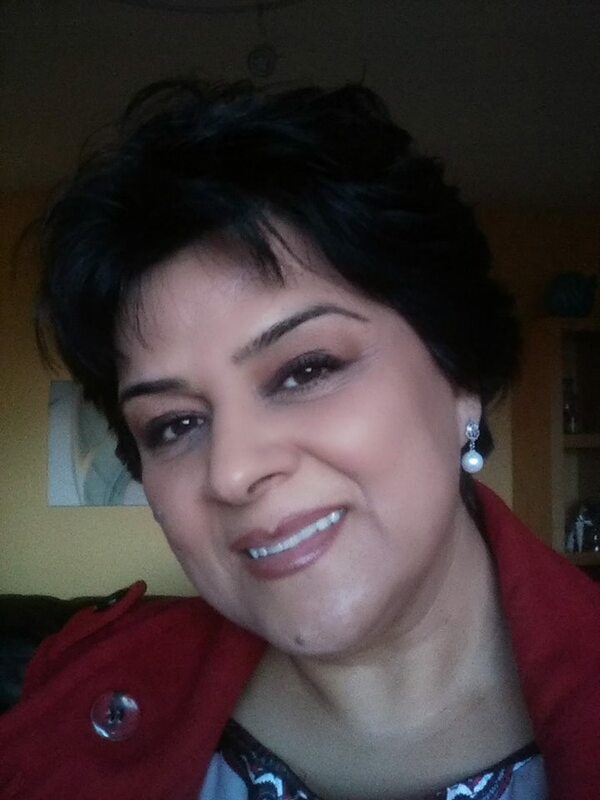 In her current role, Mandana empowers residents of a very diverse neighbourhood in the city of Toronto, to take leadership and engage in collective community action to improve their neighbourhood and their living condition. Through her community development work, Mandana has mentored a large and diverse group of both newcomer and established neighbourhood residents in participatory processes to identify and work to reduce the multiple barriers to prosperity and well-being of their community that they face. Mandana is a connector/ facilitator and a consensus builder. Using innovative community development approaches and techniques, Mandana has been instrumental in starting and enhancing numerous community building initiatives ,including establishing the first ever Friends of Park Group in North York, establishing a community choir, numerous recreational art and sport programs for women, children ,youth and seniors. She has also supported advocacy work for Health care and Neighbourhood Safety. Mandana has worked for about a decade in various Toronto’s non-profit sector agencies. She has coordinated networks and has sat on non-profit boards. Her leadership development work has been featured several times in Toronto Star and other media and conferences. Mandana voluntarily left her privileged life in Iran to move to Canada in order to achieve her fullest potential as a human and a woman. Through her struggles during her immigration journey, Mandana experienced a gigantic shift in her identity as a woman and was able to achieve tremendous growth and a high level of satisfaction and fulfillment in her journey being a woman. This shift happened through her being able to connect with her femininity, her sense of beauty, passion and purpose. It was through this connection that she was able to become such an influential woman. It then became her new passion to help other women to experience the same strength and satisfaction in their lives and to enjoy living life to their fullest potential. The experience that Mandana describes as “Flourishing”. Coming to realization that how important it is to “Flourish” as a woman, to be beautiful, powerful, passionate and nurturing and to also change the world to a more beautiful, peaceful and harmonious place, Mandana found her life mission to help women to “Flourish”. This inspired her to write her book” The FLOURISHING WOMAN: Live a life of Passion, Purpose and Beauty “.Her book inspires women to “Flourish” and to reach to a higher level in their being as a woman. 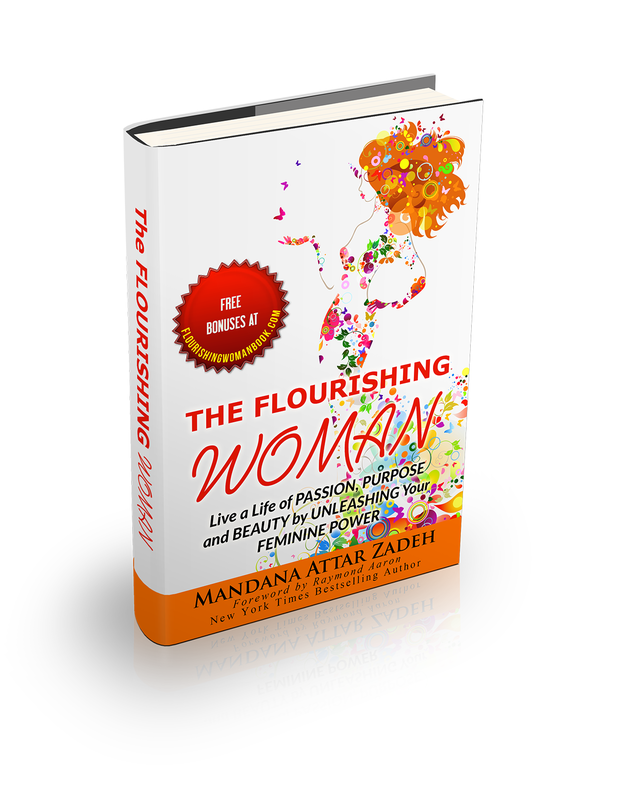 The book is about being fulfilled as a woman, and the journey of being fully alive, beautiful, having a successful career, and contributing to the world, all whilst feeling beautiful, satisfied and powerful .For her "The Flourishing Woman" is caring & compassionate; beautiful; nurturing; confident; creative; passionate & has an open heart to love all. Mandana believes that the “The flourishing Woman” is a precious human asset that can transform the world to whole new level of love, care and happiness. Mandana currently mentors women to connect with their inner beauty and to radiate that beauty and attraction from inside out. She then invites women to use the power of their beauty and attraction in a responsible way and as a force for good in their life and the world. Mandana believes the gift of these women will be more beauty, peace and harmony to a world that is torn apart by violence, war and conflict. She strongly believes that women can change the world to a more beautiful and peaceful place if world invest on them to “Flourish”. Mandana’s dream is to have her own Foundation to support Girl’s Education , Women’s financial independence and supportive housing and community for women in transition all around the Globe. Mandana has chosen Entrepreneurship as the way to build her dream. Her message to all women is: “You are beautiful no matter of age or body type. Look for the beauty inside, connect with it, bring it out and gift it to yourself, your families and the world”. The fact of being a woman is beautiful!.